In the depth of its expression and richness of form Johann Sebastian Bach’s music has no equal. This becomes especially clear in the famous cantatas for solo soprano, as can be heard in this recording, featuring "Ich bin in mir vergnügt" BWV 204 and "Mein Herze schwimmt im Blut" BWV 199 (Weimar version, 1714). The recording is rounded off by a performance of the famous soprano aria "Alles mit Gott und nichts ohn’ ihn" BWV 1127. Once again Dorothee Mields shows that she is one of the leading interpreters of our time for the music of the 17th and 18th centuries. 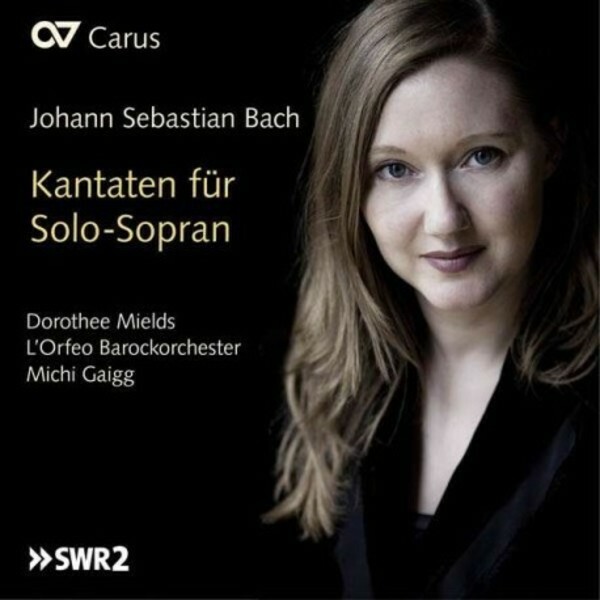 Performed with L’Orfeo Barockorchester, under the direction of Michi Gaigg, this is an exemplary interpretation of these seldom heard solo cantatas.